Tis' the season for giving and holiday cheer! 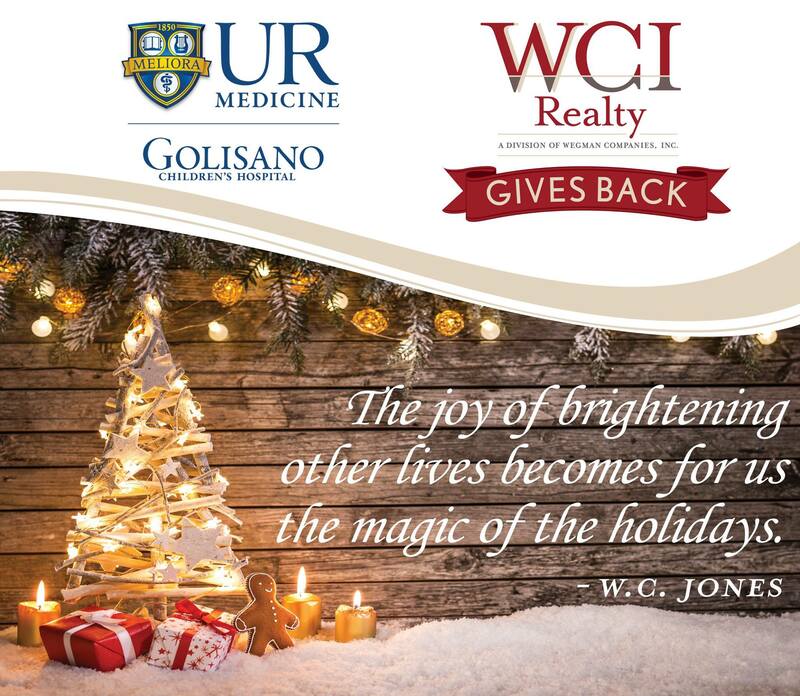 spirit to The Golisano Children's Hospital, with donations of toys directly from the patients' wish list! Would you like to give as well? Then visit the below website for gift giving ideas! Your gift to UR Medicine's Golisano Children's Hospital stays right here in this community, supporting the 85,000 children and families that visit them each year.